If you have seen a funny internet picture with a witty caption on it anytime recently, there is a good chance that it was uploaded to Imgur. The service has been providing hosting space for the Internet’s funniest and stupidest memes for a while now, but today, is finally taking their Android application out of beta for everyone on Android to use. The app is styled in Android’s Holo theme throughout, featuring the slide-out menu that we now expect from top-tier apps. Images are featured in tiles, which makes for easy selecting, enjoying and uploading to your own profile. If you are anxious to look at some Lil Bub photos or laugh at Bad Luck Brian memes, hit the link below. 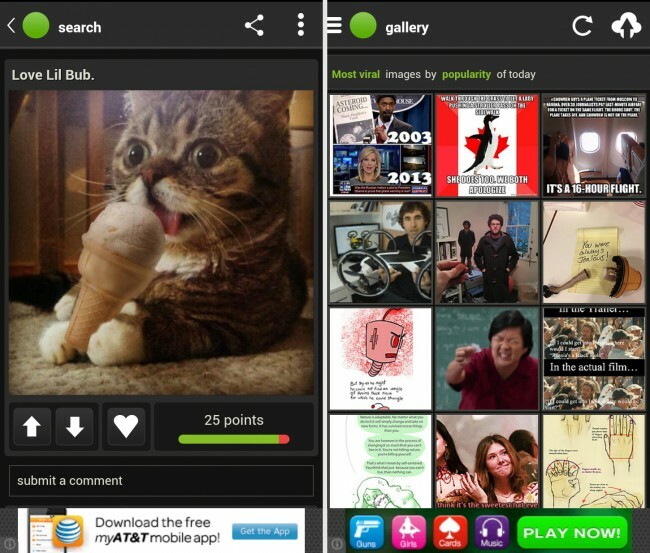 JUNE 24, 2013—SAN FRANCISCO—Imgur, the fastest growing image sharing platform on the web, today introduces its first official mobile app. Until now, Imgurians have used their mobile site or unofficial third-party apps built using the Imgur API. The new app delivers the complete Imgur experience, maintaining a clean user interface with access to the entire feature set. Available first for Android devices, the new Imgur app makes it easy to view, upload, share, comment, and engage with all of Imgur’s entertaining images on the go. People continue to migrate from traditional entertainment media like TV, and shift attention from social networks like Facebook to outlets that let them consume and share content in new ways, without tying everything they do back to a profile that features and promotes it forever. This trend lines up nicely for the natural evolution of the Imgur experience, which has been moving toward image sharing as a form of entertainment, more like a YouTube for images. To that end, discovering and consuming cool content is a core focus for both the site and for the new app. The user experience is all about finding the newest, most interesting “viral” images, engaging with them, and sharing them with friends. The dynamic nature of the content inspires users to engage frequently, in many cases on a daily basis. Imgur also promises new features in the coming months to aid content creation, and enhance personalization and discovery. As expected from the Simple Image Sharer, users will see an intense focus on simplicity and usability in the new mobile experience. TL; DR Imgur finally released an Android app!